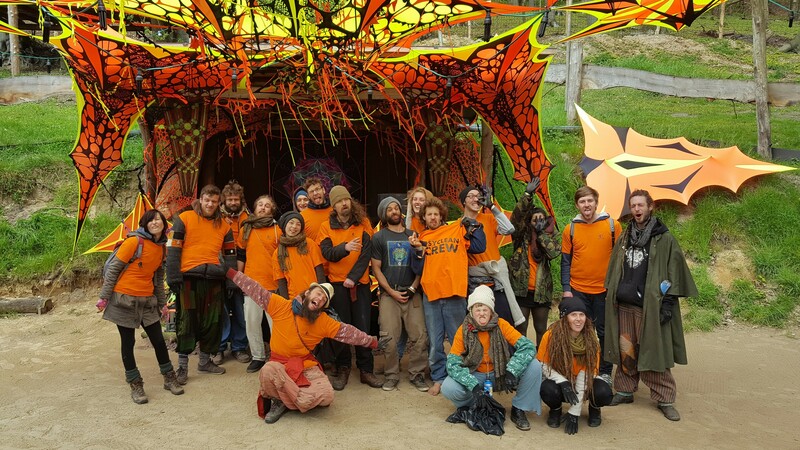 Who are you and what made you integrate your project, The Psyclean Crew into the psychedelic festival culture, leaving an active positive impact in the heritage of our party culture? We are Aleksandra “Ola” Muranyi and Viktor Balogh, the founders of The PsyClean Crew. In 2012 we started outlining our project, aiming at the re-introduction of basic responsibility towards the garbage people create. 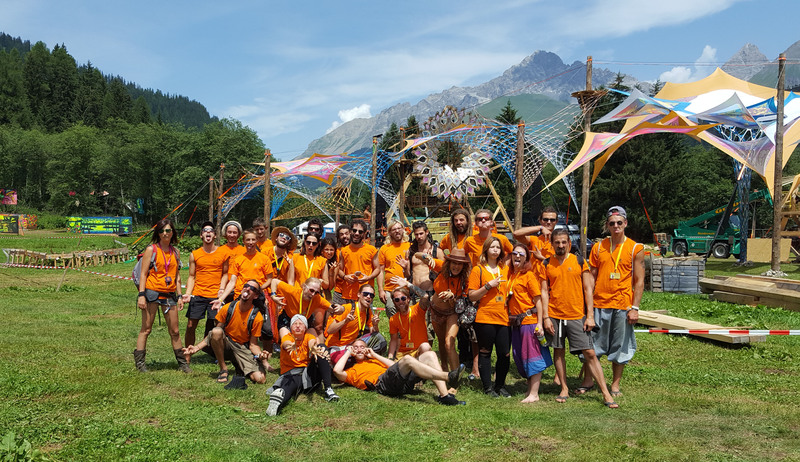 Our own affection for a pristine natural environment was easily connected with the need for clean open-air events, since psytrance festivals made up a huge part of our summer holidays. 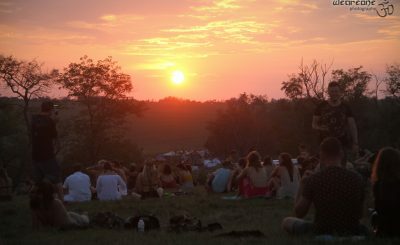 What began as guerilla-cleanings on small festivals in Hungary, involving the crowd and running around headless, trying to ensure a psychedelic experience at all times, soon became an idea for something bigger. After countless interactions with members of the tribe we realized, that if properly organized and managed, this problem could be resolved by using the effects of the Broken Windows Theory and the power of critical mass. Birthplace of the final concept is 2012, India with its endless train rides and a small laptop serving as pen and paper. Here we realized, that the problem was simple: people have forgotten the agreement to put their garbage in the designated place. If we could provide well-maintained infrastructure, all that party people would have to do is put their trash into the bin¡K problem solved. However, to change the behavior of thousands of people within the timeframe of a festival, we would have to come up with various tricks and practices. How did you find psytrance? 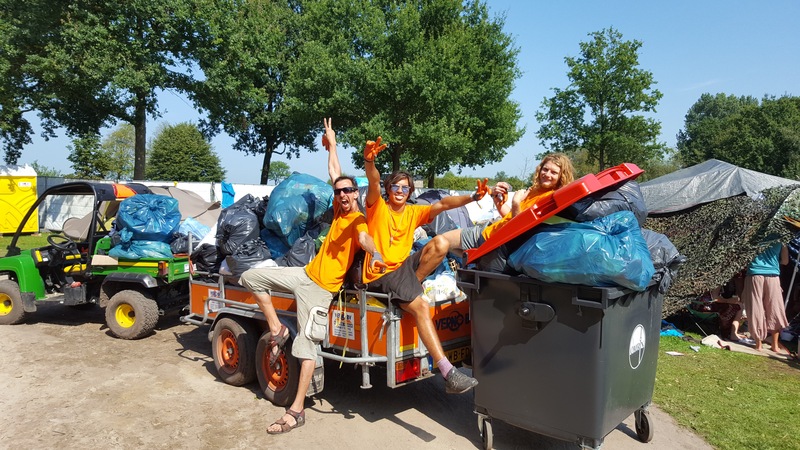 Your project is fairly young and this subculture has grown a lot in the past years, together with the garbage issue and the inappropriate behavior of the participants. Psytrance found us, basically. 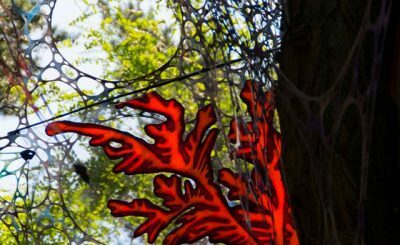 The connection to nature, a peace- and colorful environment, inviting people and mind-bending music took us in immediately. The change in consciousness to the worse was felt clearly. 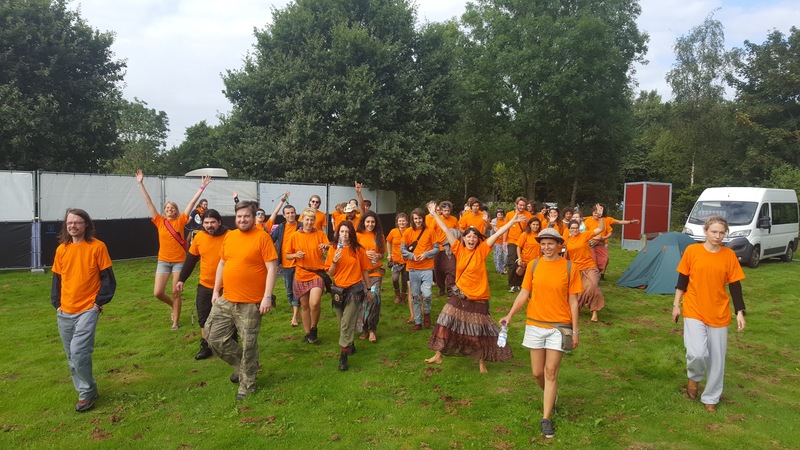 Consumerism, festival-tourism and the lack of appreciation for the spiritual goals of a psytrance event by casual visitors quickly started to deteriorate these gatherings. This was fuelled further by new festivals popping up all around Europe, having much less a spiritual agenda, but being more aimed at financially profiting from this subculture. The garbage-situation on such events is mostly grave. Nevertheless, it is our intention to regard every gathering the same: a melting pot for like-minded people, on the search for joy, love and elevation. This means, that by working with us, organizers of more commercial events also need to incorporate the vision of a clean gathering into their concept. By doing so, we have witnessed great changes on several festivals and it became gradually easier to deal with the growth of the events. Same goes for the visitors: if they understand, that the infrastructure is maintained, so it makes sense to use it, they will. Most of them know by now, that we are always up for a little talk if anybody gets caught littering. Generally people would like to avoid that and rather use the bin. .How do you conform with society and what are future goals of the project? The aim was always to give back the power to the people to shape their own reality. By taking basic responsibility in everyday actions, acting mindful towards the environment, trying to fix things rather than buying new ones, we all could exist in a place that needs no extra caretaking. 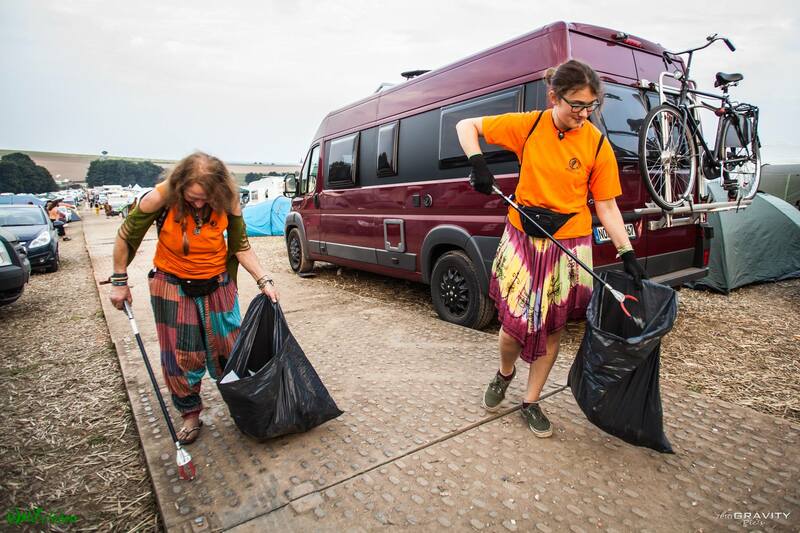 We hope, that the ideas we give to volunteers, crew, visitors and organizers alike will be taken beyond the festival gates and help creating the critical mass we are so keen to reach; a critical mass of people, who will not stand by when others litter, but remind them of their basic responsibilities. Our next big step is to realize the truly garbage-free festival. In short, all plates, cups and cutlery would be reusable, hence the festival would not be providing any garbage to the visitors. 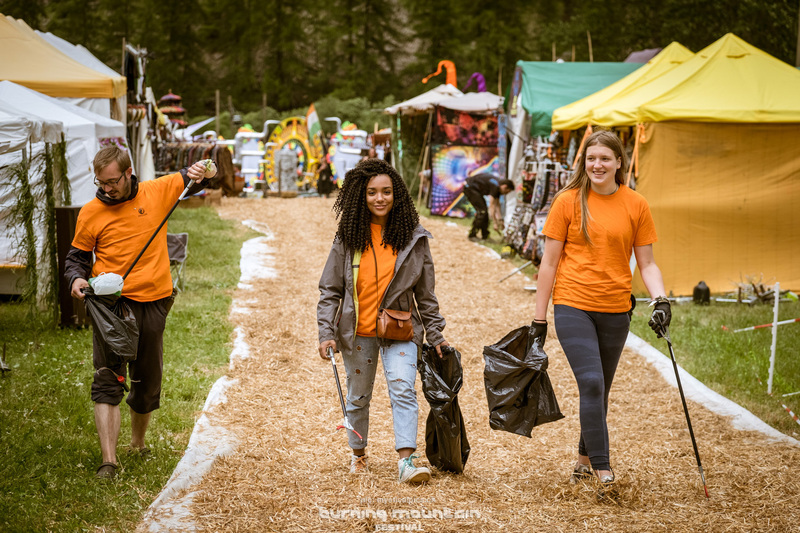 From this point on, all garbage scattered across the festival area would be ¡§imported¡¨ by the crowd, making it much easier for us to raise awareness about the issue. 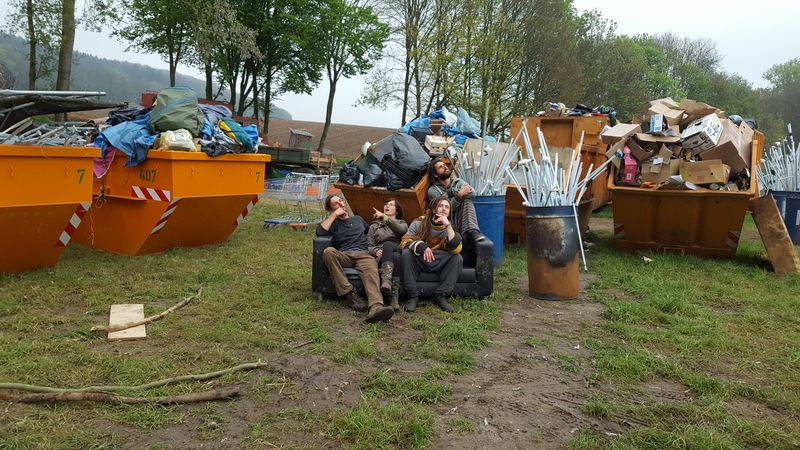 What do you do with the garbage, how much do you collect and what are your experiences after Waldfrieden and Psychedelic Experience? How is the feedback from orga and guests? In general, we are selecting most of the trash by hand. Most countries have companies, who are dealing with selected materials. With their help we can place different containers for the separated raw materials like aluminium, paper, plastic and glass. The situation gets more complicated when it comes to cleaning up the campsite. Visitors tend to leave behind a vast ghost camping (especially when it is raining), where all the gear is still there, but the people have disappeared. 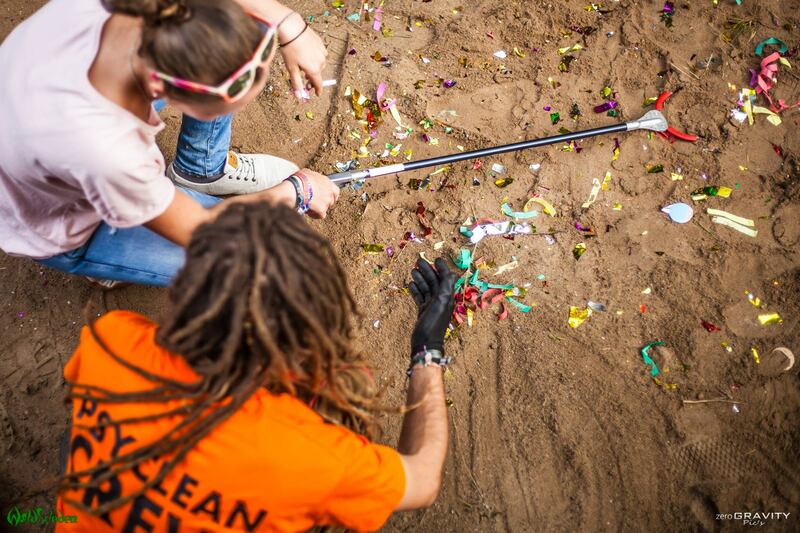 This behaviour might be the biggest contributor to a festival¡¦s environmental footprint. 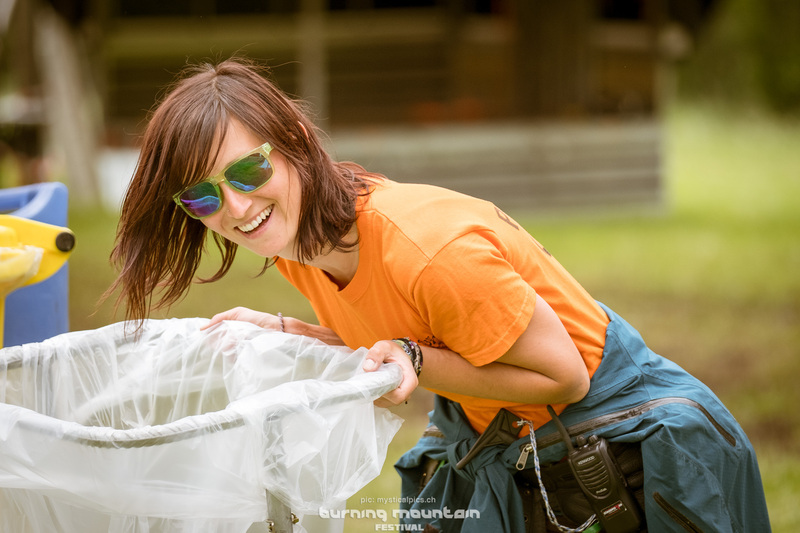 Not only is it the cause for mountains of trash, but it is also sending a wrong message: the thought, that it is ok to turn things into litter, just because we dont want them anymore. And it is CRAZY, really! Most of the stuff left behind is either brand new, in good condition or easy to repair. The feedback is usually great, since we have devoted our lives to present organizers and visitors with a truly working waste management solution. Sadly, this had been hard to come by, so most people are very happy to be able to carelessly dance barefoot once again! Lost Theory , Hadra, Zuruck zu den Wurzeln , Hai in den Mai and Psychedelic Experience that is already part of the core of the European Psytrance scene. What do you like about our scene? You are also on the move a lot, do you take some time to fly to the rhythm every now-and-then? You seem to be a very colorful bunch too, which genre makes you melt away the most? Most festivals we have the honour to work with have been pioneers in their regions / genres. It is a great privilege to co-create a festival with these professionals and it brings us a lot of satisfaction to realise, that both sides are open for learning and sharing their best practices. We are a big family in the end, we grow as we evolve together. 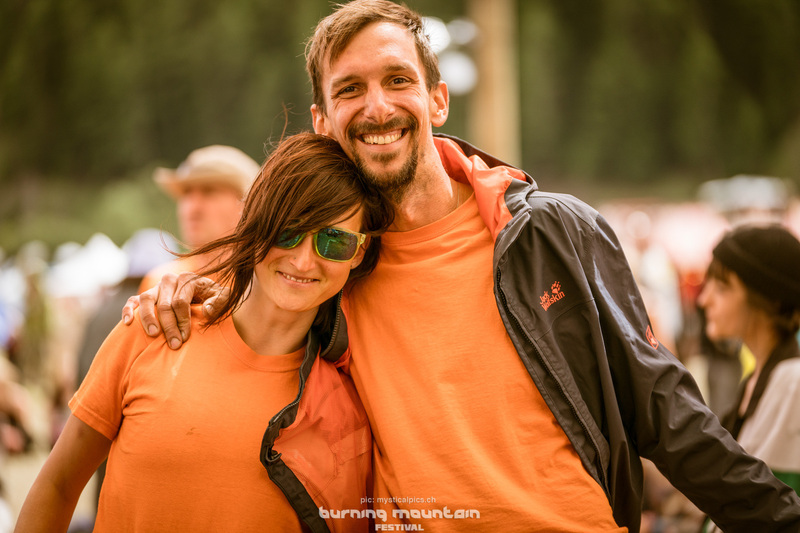 It is very important to us, that our volunteers get the best out of the event they are taking care of. It is rare for us though to party at the festivals we work at. We do however keep a tradition of a crew dance at the closing set of the festival. This is a moment of celebration for the whole PsyClean Crew, the moment we are always looking forward too as project leaders. How many people are you, from which background do you originate and what is your consensus? Who is your target group and how can you be booked? Are you easy to follow over social media or are there any restrictions, like number of visitors? The size of the team depends on the size and length of the festival and varies between 20-60 people. It is to our great joy, that every year more and more people would re-join the team. Our core team consists currently of 8 people, originating literally from different parts of the world and working on various tasks. We are becoming a family and best friends; our lives transform because of PsyClean. This is a very heart-warming and unexpected side effect of the project. 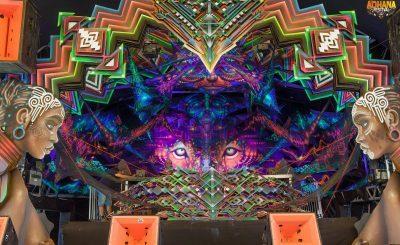 Although psytrance festivals are our main focus at the moment, in the future we would like to open towards other music events or even urban projects. 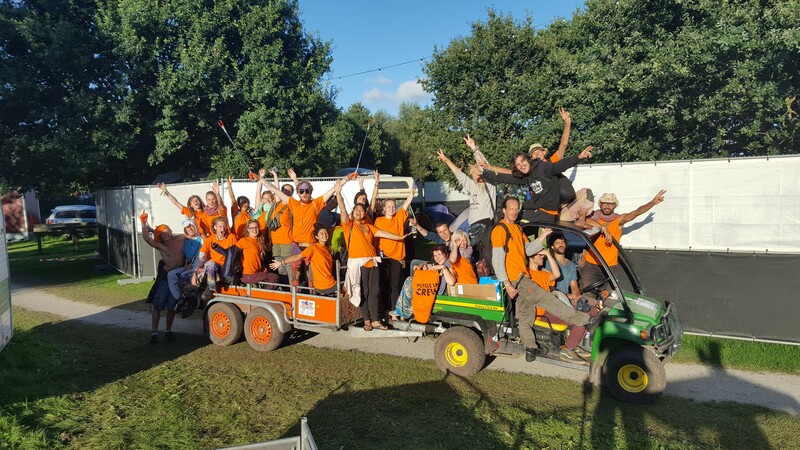 We prefer to avoid participating with our volunteer-based PsyClean Crew on gatherings sized over 35k people, as the message we carry gets impossible to share beyond this level of commercialisation. However, the zero-waste oriented PsyClean Solutions project, with its network of aware suppliers can find its place in various environments. We can be booked through our website psyclean.com, through Facebook or email. Future plans: will you still be collecting garbage in 5 years? What is your universal message to the party people in the party world all around the globe? Avoiding a mess is always easier, than dealing with it. There is no trash, unless you generate it, so it is up to all of us to shape our own reality and create the environment we want to celebrate in! Thank you for the Interview and all the best for your Project! Namaste & cu on the floor! The Interview was made by Mike from chaishop.com with Viktor and Ola from PsyCleancrew in June 2018!